The above tool has been developed by using data from authentic government sources to gain better insights from the election results. 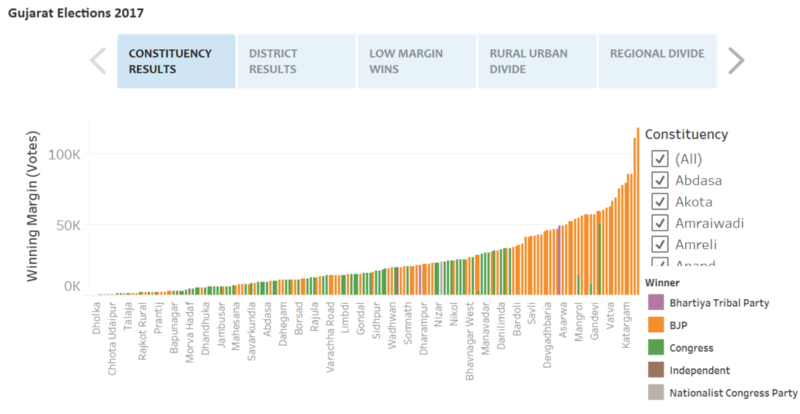 The tool is divided under five categories for accurate statistics on winning parties across districts, constituency and rural urban divide. You can also choose and compare districts or regions of your own choice also.